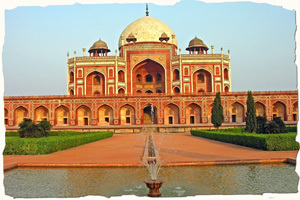 India is a feast for the senses! 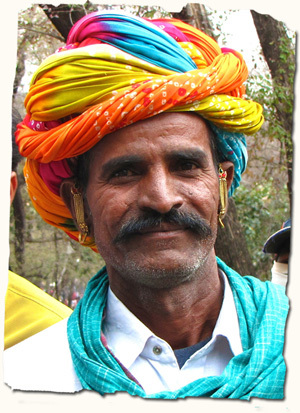 Think India and you think of colourful saris, delicious spicy food, sacred cows, sensual smells, rickshaws, and chaotic yet irresistible markets packed with fantastic handmade treasures. Think Rajasthan and you think of romantic deserts, camels sauntering across golden dunes, exotic men in colourful turbans, princely palaces and temples, all with a backdrop of wonderful mystical charm. 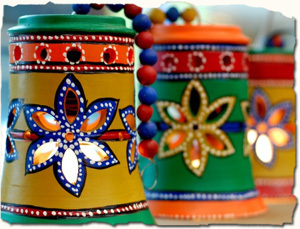 Rajasthan is a fairytale land full of rich treasures - vibrant, colourful, magic and exotic, no wonder travelers love it. 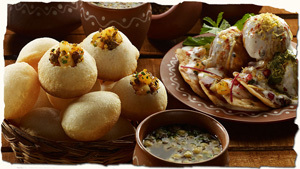 Dine on delicious Indian food! Welcome to India - you will be met at the airport and transferred to our hotel. Welcome dinner together. Today we gain an insight into India with a visit to the Sikh Temple to observe the locals offering prayers and performing rituals.Visit the war memorial of the first World War-India Gate. 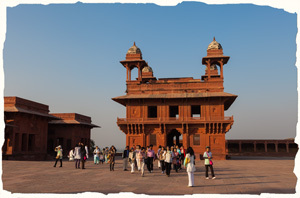 Explore the Red Fort which was the main residence of the emperors of the Mughal dynasty for nearly 200 years. 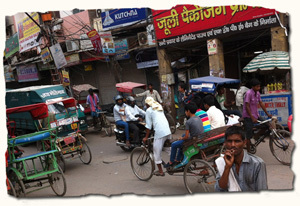 Enjoy an exhilirating rickshaw ride through the narrow lanes of Old Delhi and visit the Dilli Haat market, famous for its colorful small stalls offering local crafts and relish local cuisines. Akshardham, a Hindu Temple and a spiritual-cultural campus, is an exciting place to visit and will give you a great insight into India. After this, we visit Humayun's Tomb, which is a UNESCO World Heritage site and is said to have created a precedent for future Mughal architecture of the Taj Mahal at Agra. Flight to Varanasi. Indians get their destinies predicted by astrologers, so when in Rome... we have an afternoon consultation with a renowned Indian Astrologer. Participate in special evening prayers (Aarti) on the ghats of Ganges and witness a musical performance on the boat. 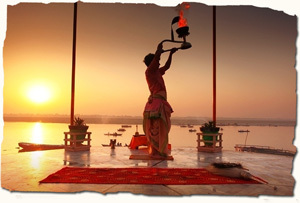 Start your day with a wonderful sunrise boat ride on the river Ganges. Drive through the Banaras Hindu University (BHU), housing the famous Vishwanath temple. Return to hotel for breakfast. Later we visit Sarnath - the place where Lord Buddha delivered his first sermon to his five disciples. You will also see the museum with the Ashokan Pillar and the Buddhist temple inside Sarnath. We also pay a visit to the Handloom and Silk weaving centre. You haven't experienced India if you haven't taken at least one train ride! This morning we board morning train for Lucknow! On arrival, we check-in at the hotel and enjoy the rest of the day at leisure. Today, you shall discover the lanes and the bylanes on this heritage walk as you explore the unexplored and understand how vast a history, this city of superlatives holds. See the Bara Imambara, the British Residency and The Rumi Darwaza. 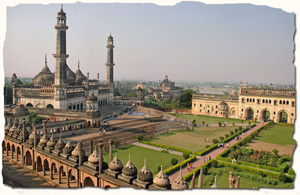 Lucknow houses one of the most impressive architectural structures in India which is an example of the fine architectural style of Awadh. 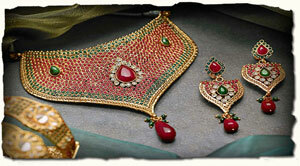 Also see the famous 'Chikankari' embroidery work & the colourful markets. After breakfast we depart for Agra - The proud home of the Taj Mahal. This evening we witness the popular stage performance of 'Kalakriti' - A theatrical presentation of Taj Mahal's glorious history - to give us some background before we visit the Taj Mahal itself. Today, we visit the breathtaking Taj Mahal, followed by a visit to the Agra Fort and the Tomb of I'timad-ud-Daulah, popularly known as the 'Baby Taj'. Get ready for a memorable evening to dine with a local family in their home. 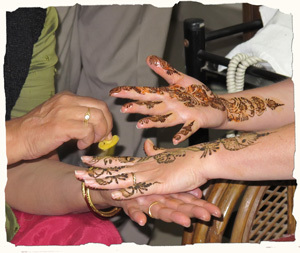 The lady of the house will organize a demonstration of saree draping & henna application (Indian Tattoo). A leisurely drive to Jaipur, en-route visiting Fatehpur Sikri. In the evening it is time for some fun and entertainment - enjoy watching a Bollywood movie at a famous local theatre. 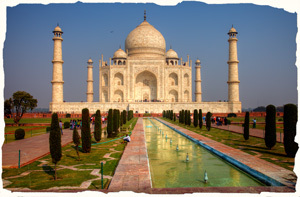 Today is a royal day, as you will be out to visit the grandest city in India. We eat a decent breakfast to sustain us on our exciting walk through the biggest fortress in India and some amazing palaces that Jaipur is known for. See the amazing 'Palace of Winds' i.e. the Hawa Mahal, made to keep the palace cool in the summers. You may choose to visit a store of the Royal family, and check out their exquisite jewellery collection: antique jewellery from the coffers of Maharanis to contemporary designs studded with the precious gemstones. 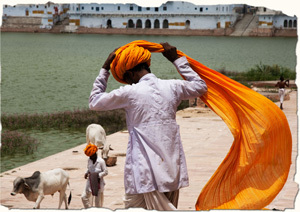 The charming city of Pushkar is located on the edge of the desert, and an important pilgrimage centre for Hindus. Keep your eyes peeled for sadhus (holy men) and devotees. We visit the only Brahma Temple in the country, followed by a spiritual walk at the Pushkar Lake. 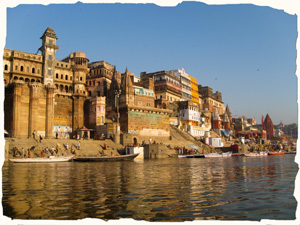 Walk through the labyrinth of alleys and lanes, its bazaars and the ghats to discover the magic of this tranquil town. 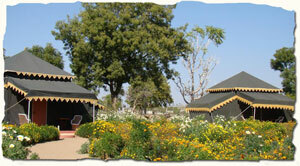 Participate in a yoga and meditation session organized at your beautiful tented accommodation. Observe the rural lifestyle and activities around your camp. 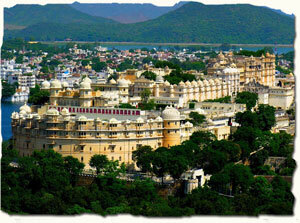 Udaipur - the jewel of the Mewar Kingdom. 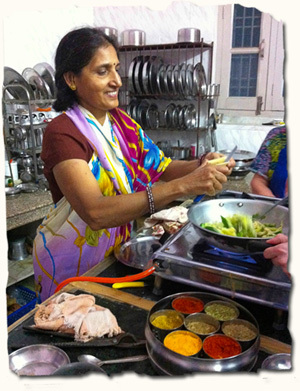 In the evening we cook up a storm in a cooking class - learn the secrets of Indian food and how to use spices! The City Palace boasts a wonderful blend of medieval, European and Chinese architecture. Towering on the banks of Pichola Lake, City Palace is truly a feast to the eyes. Visit the world famous Crystal Gallery, housed in the Fateh Prakash Palace. Get mesmerized by the silvery showcase at 'Splendour of Silver' Gallery, including royal transport, palki & several unique objects from the royal ages. Visit the Saheliyon ki Bari or 'Garden of Maids', that was built in the 18th century by Maharana Sangram Singh for the royal ladies. Experience a tranquil private boat ride on the calm water of the famous lake of Udaipur. 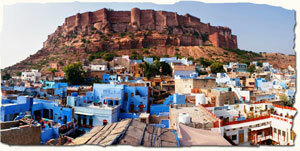 Next exciting stop: Jodhpur, or 'The Blue City', set on the edge of the Thar desert. Famous for it's magnificent Mehrangarh Fort. After a leisurely breakfast, visit the Umaid Bhawan Palace's museum which houses an exquisite collection of paraphernalia from wondrous bygone days. The Mehrangarh fort stands a hundred feet in splendor on a perpendicular cliff, four hundred feet above the sky line of Jodhpur. Burnished red sandstone, imposing, invincible and yet with a strange haunting beauty that beckons. Much has been written about the Citadel of the Sun, for truly, it is one of the most impressive in all Rajasthan. So colossal are its proportions that Rudyard Kipling called it "the work of giants". The Jaswant Thada is a cenotaph which is built out of intricately carved sheets of marble. Khimsar is perched on the edge of the great Thar Desert, in the heart of Rural Rajasthan. This village nestles amidst sand dunes that seem to roll into eternity. We stay at Khimsar huts, an exclusive village experience that feels like it is in the middle of nowhere. 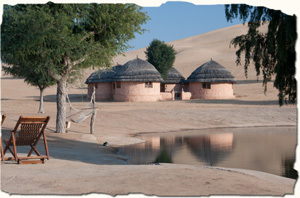 On arrival at our eco-friendly mud houses we savour the tranquility of the Thar desert in all its majesty. Visit the fort and see the 'The Royal Garage', which is the King's private collection of fine vintage cars. Explore the village - you will find local goldsmiths, potters, weavers and stonemasons. You may opt for a camel ride. Enjoy a leisurely evening with a folk dance and musical performance. 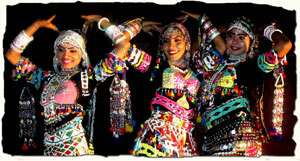 Rajasthani folk music is one of the most popular in the country and truly entertaining. Mandawa is famous for its beautiful havelis and frescoes. It is a small town in the heart of Shekhawa region and is also know for it's Fort Palace. We take a sightseeing tour of the town: The fort of Mandawa, founded in the 18th century by Thakur Nawal Singh, dominates the town with a painted arched gateway adorned with Lord Krishna and his cows. The Mandawa havelis are some of the best examples of traditional architecture and art in the entire region of Shekhawati. These stunning and unique havelis boast unique art and architectural designs from the previous eras. In the evening you may you may wish to visit the local bazaars for some of that irresistable last-minute shopping for beautiful Indian treasures! Today we head back to Delhi. On arrival at our lovely boutique hotel you might just like to indulge in a fabulously relaxing spa (foot / head or body massage) session to conclude your trip. What a fantastic, insightful and magical trip it has been! Post breakfast, you shall be transferred to the international airport to board your flight back home. "I haven't felt this free in 20 years"